Latest Emirates Jobs In Dubai. Emirates is a prestigious and well known airline which is based in Dubai in the UAE. As a subsidiary of the Emirates Group, this is the biggest Middle Eastern airline and it is owned by the government of Dubai's Investment Corporation. It operates more than 3600 flights every week from its hub and travels to over 140 cities around the world. As the fourth biggest airline in the world, Emirates carries a huge number of international passengers as well as freight. It also held the honor of having the longest commercial non-stop flight which goes from Dubai to Auckland until quite recently. If you want to apply for the latest Emirates jobs in Dubai, read on to find out more. There are also other specialist roles available to suit the needs of a wide range of candidates. If you are looking for the latest Emirates jobs in Dubai, the first and best place to begin is on the Emirates own website. Here, you can find listings of all of the most recent vacancies across all of the available sectors. You can also find posts listed with Emirates in Dubai on various general job listing websites like Indeed and GulfTalent. The skills and qualifications required to apply for the latest Emirates jobs in Dubai vary greatly depending on the role being applied for. All roles will require a basic high school level of education, however more senior positions will, of course, require more extensive qualifications including a relevant degree and experience in a similar position as well as industry specific certificates. Good communication skills are often a must and good computer literacy, and language skills are also a benefit in both Arabic and English languages. Some posts will also have more specific requirements when it comes to physical attributes. For example, as cabin crew, applicants must have a minimum height, must be physically fit and presentable with no visible tattoos or piercings, and must be able to swim. Some jobs also require applicants to take drugs and alcohol testing and to pass for police clearance. 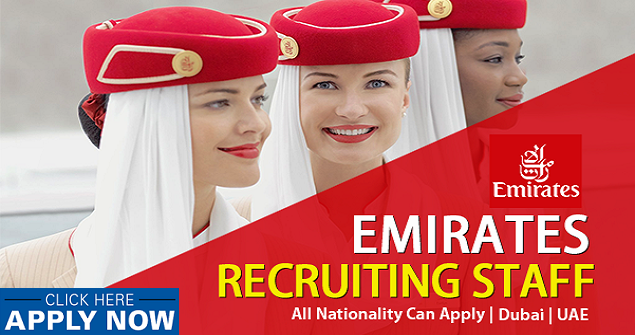 You can apply for the latest Emirates jobs in Dubai through the company's own website. All you need to do is create your own user account, upload your current CV and enter your personal details and then you are ready to apply for any position that meets your criteria.